Studies that investigate the influence of culture on the persuasion process need methods and instruments to measure the effect of culture. As cultural studies have most frequently used values as a starting point for cross-cultural differences and similarities (see Section 2), values have also been used to measure culture. Persuasive effects research involving different cultures inherently encounters a number of methodological problems. In Section 3, I will describe these problems and some solutions, and propose the inclusion of context variables other than values as an alternative way of measuring the ef-fect of culture in experimental persuasive effects research. Using evidence in support of claims makes a message more persuasive, but it is not known whether the persuasiveness of evidence depends on the type of evidence, and on the cultural background of the receiver of the message. This book reports on a series of five studies, in which the expected and actual persuasiveness of anecdotal, statistical, causal, and expert evidence were investigated in France and the Netherlands, with a particular focus on expert evidence. The findings from these empirical studies clearly demonstrate that there are cultural differences in the relative expected persuasiveness as well as the actual persuasiveness of the evidence types studied. Expert evidence was found to be more persuasive in France than in the Netherlands, although these cultural differences were subtle. Therefore, the findings reported in this book further underscore the importance of investigating the influence of culture on the persuasion process. Hornikx, J. (2005). Cultural differences in the persuasiveness of evidence types in France and the Netherlands. Dissertation Radboud Universiteit Nijmegen [pdf]. Persuasive texts in which evidence is employed to support claims are more effective than texts without evidence. Text writers may use different types of evidence, such as anecdotal, statistical, causal, and expert evidence. Over the years, a number of experimental studies have investigated the persuasive effectiveness of these evidence types. In these experiments, various definitions and operationalisations of evidence and evidence types have been used. As a consequence, there is no clear picture of which type of evidence is the most persuasive. This review analyses fourteen experiments on the relative persuasiveness of evidence types. Results show that statistical and causal evidence are more persuasive than anecdotal evidence. In this second edition of Persuasion: theory & research, Daniel O’Keefe gives a state-of-the-art overview of theories and research in the field of persuasion. The author has succeeded in providing an introductory text for (under)graduate students that discusses classic and more current theoretical perspectives that have been or will be prominent for the study of persuasive effects (chapters 2-6). Persuasive texts, such as advertisements or public information brochures, are written to convince the readers to behave in a certain manner, like buying a DVD-player or stop smoking. These texts are generally characterised by pragmatic argumentation, by which an action is recommended on the basis of its favourable consequences. In order to enhance the persuasive power of these texts, writers can support their claims with different types of evidence, like statistical information or anecdotes. The text writers’ preference for certain types of evidence might be influenced by their cultural background. A cross-cultural corpus study consisting of Dutch and French persuasive brochures will be presented. 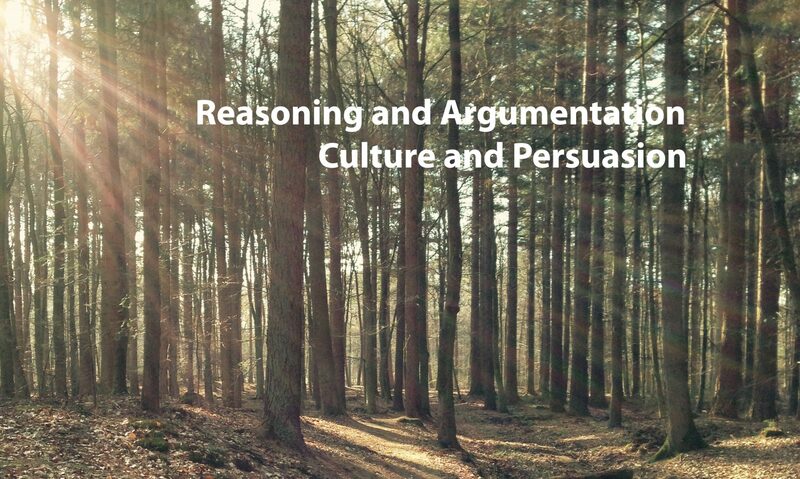 We will first outline our theoretical framework by discussing the role of pragmatic argumentation (section two) and evidence types (section three) in persuasive communication.